Elon Musk is making bold promises about colonising Mars, there are more great-looking sci-fi movies about exploring the stars than ever and robot spacecraft have become social media personalities (we’re looking at you, Mars Curiosity) – it’s official, space has never been cooler and more interesting. So it’s no surprise that everyone, from beginners with a spare 20 quid through to serious astronomers with big budgets and high expectations, are keen to get their hands on the best telescopes so they can see more of the universe with their own eyes. This means you need to make sure your expectations are aligned with one of the best telescopes you’ve set your sights on. But from the aperture and focal length, through to portability and price design, there’s a hell of a lot to consider. For example, did you know there are actually three different types of telescope? Luckily, we’ve collected together a range of the best telescopes, from techie devices that find the stars for you with the most super-advanced optics on the planet, through to the best wallet-friendly telescopes and devices built with wannabe astronaut kids in mind. But let’s not forget that telescopes aren’t just for astrophiles. There are plenty of great devices on the market for nature lovers, birdwatchers and hunting too, which you can find at the bottom of the list. If you’re on a tight budget or travel a lot, the best telescopes for you will be cheaper and more portable. For anyone who wants to take their stargazing hobby seriously, they’ll need a telescope that’s sturdy, easy to set-up and powerful enough to view the moon, nearby planets and deep sky objects. For those reasons, out of all of the best telescopes around right now, our top choice is the Celestron 31045 AstroMaster 130EQ Reflector Telescope. It’s a solid scope that provides you with a premium stargazing experience at home but doesn’t require tools to set-up, so it’s a good option for camping and stargazing parties. There’s never been a better time to find the best telescope for you. There’s more choice than ever before, as well as plenty of accessories to make your stargazing hobby even more fun and practical. But so much choice can make buying the best telescope for your needs overwhelming. The key questions you need to ask yourself are what do you want to be able to see? How much space do you have to keep the telescope when you’re not using it? Do you want to take it to events and camping? How much do you want to spend? These are all good questions to keep in mind when reading through our list of the best telescopes right now. There are also three types of telescope: refractors, reflectors and catadioptric or compound telescopes. They each have a different kind of lens set-up that can provide different results. A quick set-up telescope that’s ideal for children, beginners and students who want to try stargazing – without the commitment, space or huge price tag. This 70mm aperture refractor telescope comes with a sturdy aluminium tripod, which keeps the scope stable as you stargaze, a backpack for taking your telescope on trips and adventures, as well as a phone mount so you can take photos of the stars as you spot them. Because it’s an entry-level telescope aimed firmly at beginners, this telescope is a good option for taking a closer look at the moon and closer objects rather than deep sky objects. There are plenty of great astronomical telescope brands on the market, but Celestron is a firm favourite, with a huge range of telescopes created for all levels. The NexStar 6SE is at the highest-end of the scale, with on-board GPS and Celestron’s SkyAlign tracking technology built into the scope, which means it does the hard work for you and can locate more than 40,000 objects in the sky - just point it up and away you go. It has a huge 6-inch aperture, as well as an advanced optics coating that promises to serve up the sharpest image quality. It’s worth mentioning that Celestron also makes the same telescope but with a smaller 5-inch aperture and bigger 8-inch aperture - that’s if the 6-inch version doesn’t quite fit your needs. The NexStar 6SE may not be the smallest telescope around, but at only 21lbs it doesn’t weigh as much as a lot of the competition and means it’s portable enough to take on trips with you - it’s not built to stay static and look pretty in your front room. Of course there are much cheaper options that’ll give you the same view, but it gets serious points for its portability and on-board tech. Tipped as a great beginner’s telescope, the Strike 90 PLUS is easy-to-use enough for both adults and kids to use. That’s because its set-up is pretty simple on an altazimuth mount, this essentially means there’s no additional alignment or calibration necessary. As well as the idiot-proof setup, the Strike 90 also has a red dot finder on the tube of the telescope, which acts as a laser pointer and makes navigating your way through the night sky easier. But just because the set-up and on-board navigation is relatively simple, that doesn’t mean the telescope doesn’t measure up well compared to the competition. It’s a refractor telescope with great aperture and premium optics. It also comes with a lot of additional kit, like books and software, a zoom eyepiece, a box and a Zongo 20 Telescope Case. If this model still feels a bit pricey, check out the Strike 80, which isn’t part of the brand’s pro range like this one, but is a bit cheaper and gives you a similar viewing experience. This high-end telescope has a built-in Sony GPS sensor, which determines your precise location and means it can find more than 30,000 stars, planets, nebulae, comets and galaxies for you super fast. Alternatively, you can select the ‘Tonight’s Best’ feature, which gives you a guided tour of the best sights based on where you are in the world and which celestial objects are visible right now. It’s also built to download free upgrades about comets, satellites and any new discoveries, which means its smart features and role as a tour guide of the night skies are never going to go out of date. Plenty of people want an old-school-style telescope that’ll look nice in their bedroom or living room and stay put. But if you’re a fan of the great outdoors, or live in a city and can’t see great views because there’s just too much light pollution, you’re going to need a telescope that likes to travel along with you. Luckily, Celestron has a light and portable telescope called the Travelscope 70, which is lightweight, mobile and even comes with its own backpack making it perfect for travelling, hiking and any other kind of outdoorsy adventure. Of course packing optical tech into a smaller, lighter frame is going to mean a slightly less premium experience when it comes to the quality of the tripod and lenses, as well as magnification. But for the price, it’s ideal for beginners, travellers and even kids who you’re not sure are likely to keep their new hobby up for long. As you can probably tell, the SkyQuest XT4.5 has a slightly different look to your usual telescope, which Orion believes makes it even easier to use. It’s known in the telescoping world as a Dobsonian design, which means it’s a Newtonian telescope based on the design of amateur astronomer John Dobson. Created with beginner to intermediate level astronomers in mind, it’s particularly geared up for moon-gazing rather than venturing deep into the universe, allowing you to spot all of the greatest lunar features. It also comes with a moon map, to help you better understand the lunar surface too. This Celestron is a very capable reflector telescope that has a sturdy, fairly large build. But despite its solid design and stability, you don’t need tools to set it up – and, it’s easy to pack away for taking camping or to stargazing events. It has everything you need to get started, including a 10mm and 20mm eyepiece, a StarPointer red dot finderscope and free astronomy software to teach you the basics. The telescope has an Equatorial Mount, which allows you to track objects smoothly as they move across the sky, providing bright, clear images of the Moon, planets, star clusters, and much, much more. Another beginner’s scope, but this time it’s a fairly lightweight, tabletop design, which makes it particularly useful for small children, the elderly or those with mobility challenges who might struggle with a larger scope on a tripod. The Celestron 76mm Firstscope is a Dobsonian-style telescope with a 76mm aperture reflector optical tube attached. This makes navigating the night sky really easy, all you have to do is point the tube and take a look. Its portable build and decorative design also means it looks good and fits in most homes. When you’re buying a telescope to watch birds or animals, as opposed to planets and comets, you’ll generally need to opt for a refracting type. 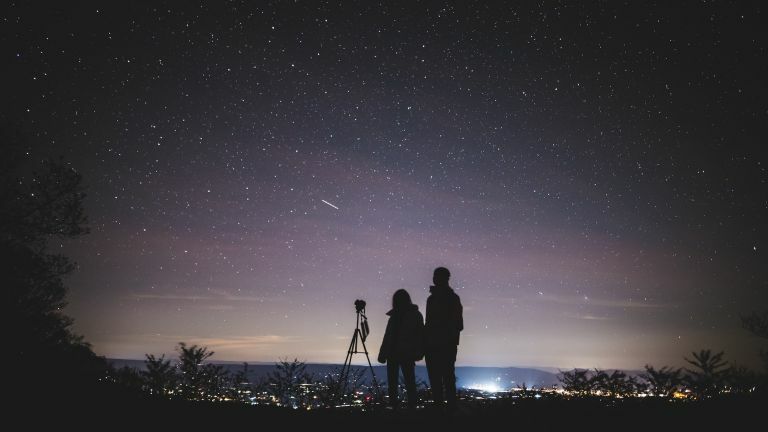 Although plenty of astronomical telescopes are refracting and can be used for both, it’s important to remember that nature lovers, hunters and bird-watchers will have loads of other needs to think about too. For example, most scopes built for astronomy look great and stay in one place - a telescope for the wilderness will need to have a completely different design that’s more rugged, more waterproof and way more portable. This Bushnell spotting scope offers excellent viewing quality, even in low light, and the lenses are protected by a rainguard coating, which is necessary for when bad weather hits, there’s too much condensation or even if your own breath steams up your vision. Of course you could just choose a nice pair of binoculars, they’re much more practical, but telescopes offer higher magnification and are the best option for more detailed, long-range viewing.